Latest developments from Chelsea has seen the exit of Michy Batshuayi from Chelsea on a season-long loan to Spanish side Valencia. Batshuayi has failed to convice the Blues faithful since he made the move from Marseille for a fee of £33 million. Sevilla were reported to be leading in the bid to take the player on a temporary move away from England. However, the champions league on offer by Valencia has apparently swayed the decision of Batshuayi. Batshuayi also went on loan to Borussia Dortmund last season scoring an impressive 7 goals in 10 matches. Valencia finished 4th position last campaign and are qualified for the champions league the Belgium craves. Batshuayi exit from Stamford Bridge leaves new manager Maurizio Sarri with just Giroud and Morata as first-team options. Batshuayi form for Dortmund last campaign saw him picked by Belgium for the concluded world cup where he made 3 appearances scoring in the defeat of Panama. Chelsea begins premier league hostilities on Saturday away to Huddersfield town as Sarri takes charge of his first competitive match for the Blues. 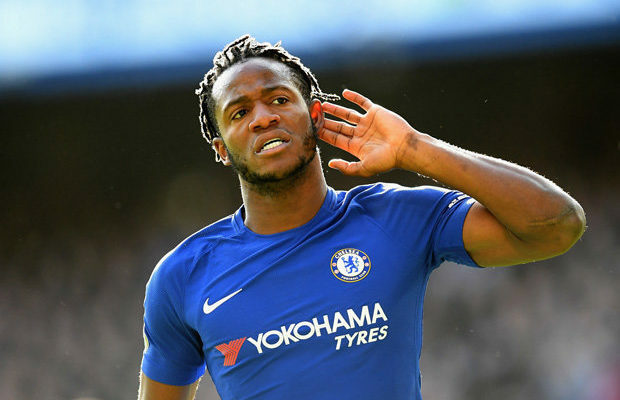 Batshuayi is especially famous among Chelsea fans scoring the important goal that secured the league title against West Brom.